Genoil Inc, (GNOLF), the publicly traded clean technology engineering company for the petroleum industries, has announced compelling economics for the Genoil Hydroconversion Upgrader (GHU), for installations where there is existing infrastructure. The GHU can be built alongside existing refinery infrastructure in major bunkering hubs rather than incurring the costs to develop and build all new infrastructure. The GHU unit costs between $30 million and $80 million to install per one million tons per year of capacity. BRP announced today that its Evinrude brand, in partnership with the University of Wisconsin-Milwaukee’s School of Freshwater Sciences, has awarded the first two BRP/Evinrude Water Research Excellence Fellowships. The $5,000 fellowships were given to Brennan Dow and Christopher Suchocki to support their tuition at the school. The fellowships are highly competitive and are awarded to students conducting outstanding research that will help protect and preserve the world’s fragile water resources. Genoil Inc. (GNOLF), the publicly traded clean technology engineering company for the petroleum industries, today announced the appointment of BLUE Communications Ltd, a leading communications and business consultancy specializing in the marine, energy and environment sectors. BLUE will support Genoil’s management team in effectively positioning Genoil within the shipping industry, and helping the company to unlock the significant potential for its proprietary technology, the Hydroconversion Upgrader (GHU), which converts heavy crude oils and refinery bottoms into clean burning fuels. ABB, the leading power and automation technology company, is proud to accompany Solar Impulse and its crew on the plane’s flight around the world powered only by energy from the sun. Solar Impulse, based in Switzerland, announced today it will begin its historic flight between late February and early March in Abu Dhabi. In 2014, ABB and Solar Impulse formed an innovation and technology alliance to advance a shared vision of reducing resource consumption and increasing the use of renewable energy. DNV has developed SUNdy, a large-scale offshore solar field concept that aims to help countries seeking alternative energy sources. 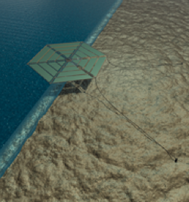 The core feature of the concept is a hexagonal array which floats on the sea surface. A collection of these arrays, totaling 4,200 solar panels, forms a solar island the size of a large football stadium, capable of generating 2 MW of power. Multiple islands connected together make up a solar field of 50 MW or more, producing enough electricity for 30,000 people. International Paint, BMT ARGOSS, & NAPA urge IMO committee to develop measurement standards for paint energy-saving & eco claims. International Paint, part of AkzoNobel, the global paints and coatings company, alongside BMT ARGOSS, and NAPA, call on the International Maritime Organization's Marine Environment Protection Committee (MEPC) to work with independent vessel performance monitoring organisations to develop a standard methodology to determine the energy saving and eco-efficiency impact of clean technologies fitted to new and existing vessels. A 'Creating Climate Wealth Summit Germany' hosted by Carbon War Room aims to accelerate clean technology adoption. Over 90 percent of the world’s trade cargo spends time on the ocean during its journey to market, carried by any one of approximately 60,000 active commercial vessels. Although the shipping industry, relative to other freight modes, is already very energy efficient, the widespread adoption of additional market-scale clean technologies which improve hull, engine and propeller design will produce further reductions in fuel consumption.